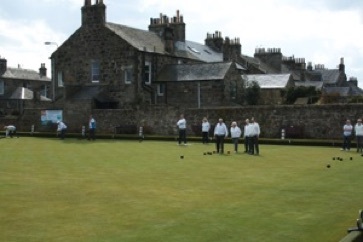 Visitors to Burntisland are welcome to the club and, subject to availability, may use the bowling club facilities for a charge of £4.00 for two hours per person. A limited selection of bowls and shoes are available. Members may also invite non-members to play and the foregoing fee is applicable.